Financing of the first stage of Villages Nature finalised. Euro Disney S.C.A. has announced that financing of the Euro Disney and Pierre & Vacances-Center Parcs joint project Villages Nature was finalised on 25th May. The signing of the agreement means that construction can now begin on the initial stage of the development, which is targeted to open to the public in 2016. Conceived by Euro Disney S.C.A. 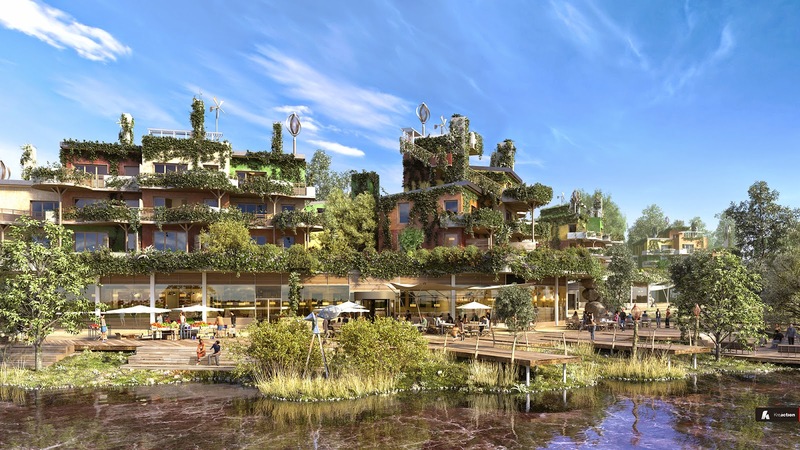 and Pierre & Vacances-Center Parcs, Villages Nature is a new, innovative European eco-tourism destination designed for short and medium-length stays. 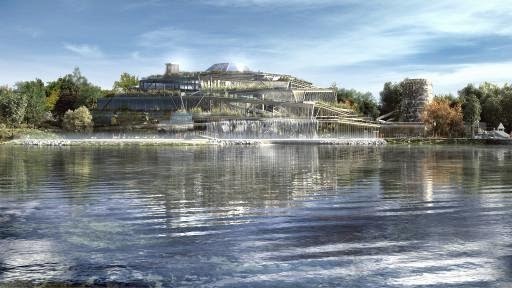 Villages Nature will be located 32 km (20 miles) east of Paris in Seine-et-Marne and close to the Disneyland Paris resort in Marne-la-Vallée, Val d’Europe. Villages Nature’s development takes its inspiration from the model that has been the cornerstone of Pierre & Vacances-Center Parcs Group’s success for the past 45 years. The model is based on the sale of recreational facilities and accommodation units to institutional and individual investors. The properties are then leased to a subsidiary of the Villages Nature company, responsible for their operation and management. For this initial stage of construction, the investments related to Villages Nature’s recreational facilities are made by a group of institutional investors. The accommodation units, a combination of cottages and apartments, are mainly sold in bulk to a real estate company to be subsequently sold to individual investors. Some 200 units have already been marketed to individuals by the sales agent Pierre & Vacances Conseil Immobilier, a subsidiary of Pierre & Vacances-Center Parcs Group. The initial stage of Phase 1 of Villages Nature will involve the construction of 916 cottages and apartments classified as tourist residences as well as recreational facilities such as the Aqualagoon, a large 11,500 m² (124,000 ft²) water complex – one of the biggest indoor water parks in Europe – with an attached outdoor lagoon where guests can swim in water heated to more than 30°C (86°F) using geothermal power. 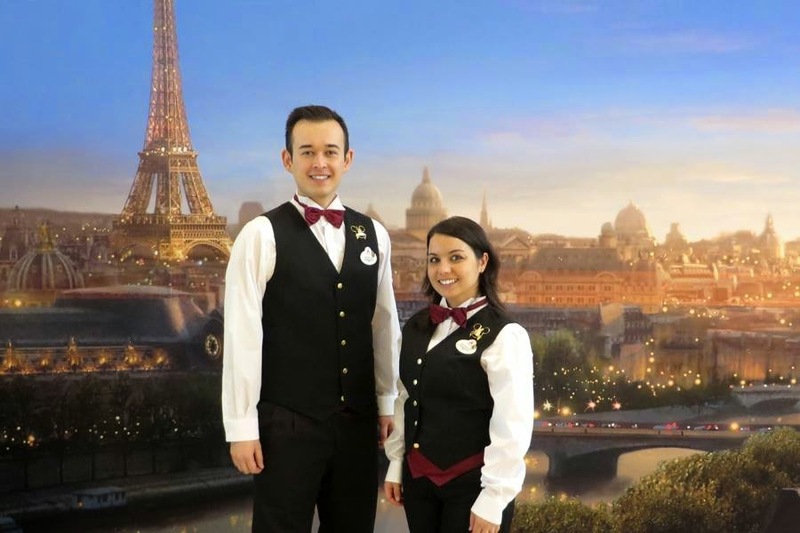 Ratatouille attraction and Bistrot Chez Rémy Cast Members costumes revealed. With the opening of Walt Disney Studios Park newest attraction Ratatouille: The Adventure on the 10th July the Disneyland Paris Costuming Team have revealed some of the costumes that Cast Members from Ratatouille: L’Aventure Totalement Toquée de Remy and the Bistrot Chez Remy restaurant will be wearing. The new costumes found their inspiration from the Parisian bistros of the 1950s and from the Remy restaurant on board the Disney Cruise Line ships the Disney Fantasy and Disney Dream. In order to guarantee the comfort of the Cast Members, the costumes have two versions and Cast Members have the choice of wearing a jacket or a waistcoat. Here are some of the costumes. 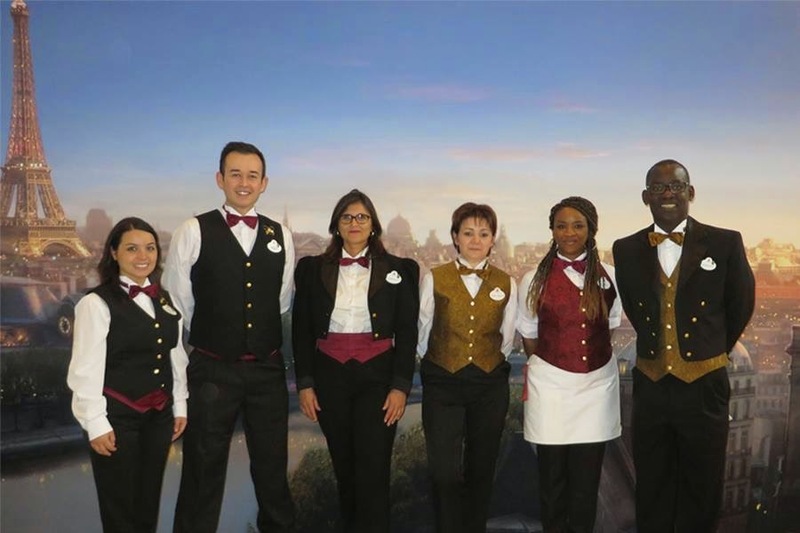 From left to right: The attraction costume in its waistcoat version (Antonella and Jonathan), and its jacket version (Fréderique), followed by the head waiters costume for the Bistrot Chez Remy (Stéphanie), waitress (Christina) and the finally the Management Team costume. 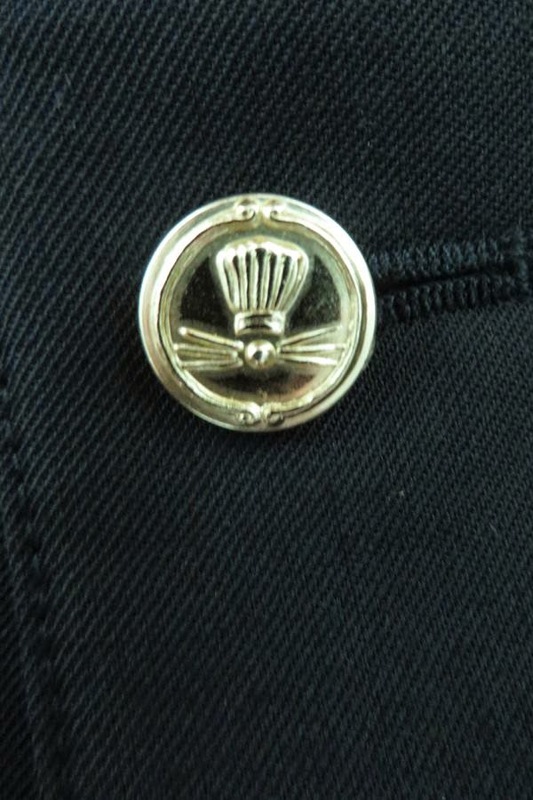 Costuming team really thought of everything, even the buttons of the waistcoats have a reference to little chef Remy. Disney Villains artwork for classics re-release. To coincide with the release of Maleficent at cinemas on 28th May, Disney has announced a limited edition re-release of many of its classic movies, with unique artwork inspired by Disney villains. A total of 24 films – including The Jungle Book, Peter Pan, Aladdin and 101 Dalmations – will be released with a premium metallic sleeve. The ‘Disney Villains’ special edition collection will be available on Blu-ray and DVD at selected UK stores on 2nd June. Disney’s Newport Bay Club Hotel is to feature on next weeks edition of the BBC TV consumer investigation programme Watchdog. The Newport Bay Club Hotel which is the largest of the Disneyland Paris hotels with over 1,100 bedrooms was designed by architect Robert A.M. Stern in a New England nautical theme. When it opened in 1992 it was the largest hotel in western Europe. The hotel is presently undergoing a full renovation which commenced in late 2013 and is expected to finish in 2015. The programme will air on BBC1 Wednesday 21 May at 8:00pm. 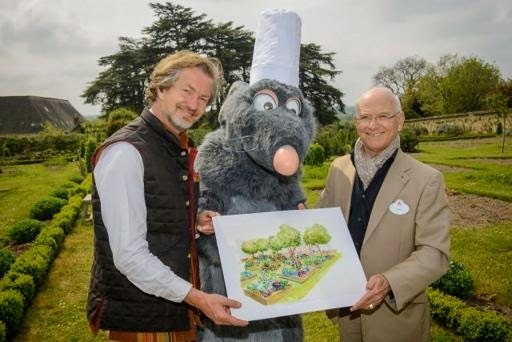 To commemorate the launch of its 60th attraction, which is dedicated to the movie “Ratatouille,” Disneyland Paris is planting its very own vegetable garden. Located near Disney’s Hotel Cheyenne, the “Potager Ratatouille” should be ready in late June. White Egg eggplants, Golden Marconi peppers, White Wonder tomatoes… These are among the unusual varieties of produce visitors will find growing in Disneyland Paris’s new vegetable garden this summer. By the time Ratatouille: The Adventure opens on July 10, the park should have ready access to all the ingredients needed to make the famous Mediterranean dish. The new garden will undoubtedly come in handy for the chefs at Chez Rémy, the gourmet restaurant scheduled to open simultaneously with the new attraction. Of course, it seems likely that the eatery will offer a version of ratatouille made with the ingredients grown on site. To create this new outdoor space on the grounds of Disney’s Hotel Cheyenne, which already includes an orchard and a flowering meadow, Disneyland Paris called upon Louis-Albert de Broglie, whose aristocratic heritage and devotion to sustainable farming has earned him the nickname of “the Gardener Prince.” An heirloom vegetable enthusiast, de Broglie provided Disneyland Paris with around 60 tomato plants from his National Tomato Conservatory at the Château de la Bourdaisière. Around ten varieties of tomatoes will be grown in the new garden, offering a wide range of flavors, textures and colors. Alongside the more traditional red fruits, visitors to the Ratatouille Vegetable Garden will find white, green, orange, pink and even black tomatoes. Euro Disney S.C.A. has announced its financial results for the first six months of the 2014 Fiscal Year for Disneyland Paris, the full report can be found here. Commenting on the results, Philippe Gas, Chief Executive Officer of Euro Disney S.A.S, said:“Our first semester results were again marked by the continued economic softness in Europe, as well as a shift of the Easter vacation period into the third quarter. These elements drove lower resort volumes, which impacted our results. However, we continue to deliver on our strategic priorities with growth in average guest spending and a 6% increase in overall guest satisfaction rate compared with the first semester last year. This demonstrates the relevancy and consistency of our strategy of investing in the guest experience. Real estate development operating segment revenues decreased by €4.1 million to €2.5 million, from €6.6 million in the prior-year period. This decrease was due to a larger land sale closed in the prior-year period than the land sale closed in the First Half. Given the nature of the Group’s real estate development activity, the number and size of transactions vary from one year to the next. Direct operating costs decreased 2% compared to the prior-year period due to reduced costs associated with lower resort volumes and real estate development activity, as well as a higher tax credit recorded as a reduction of labor costs (Crédit d’Impôt pour la Compétitivité et l’Emploi, “CICE”). These decreases are partially offset by labor rate inflation. Cash flow generated by financing activities totaled €99.8 million for the First Half compared to €26.4 million generated in the prior-year period. During the First Half, the Group drew an amount of €100.0 million from the €250.0 million standby revolving credit facility granted by The Walt Disney Company (“TWDC”)1. This amount can be repaid at any time. In the prior-year period, the Group drew €30.0 million from this standby revolving credit facility.